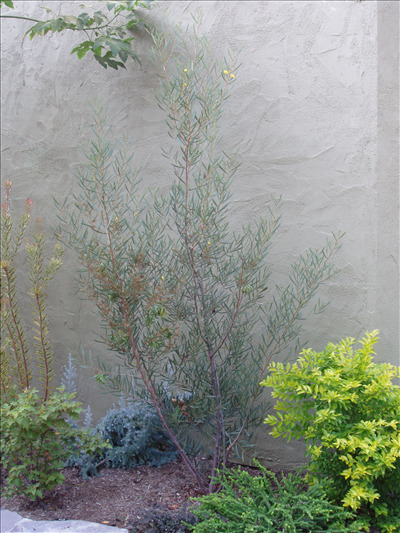 Upright branching shrub with tough grey leaves (phyllodes) and bright yellow flowers. Very ornamental and useful particularly against a hot reflective wall. Slow growing. Lime tolerant. The common name is because in Australia witchetty grubs often infest the trunk & branches. Propagation Information: Seed germinates slowly. Pour boiling water over seed and let soak overnight. Drench seed with a fungicide to prevent "Damping Off" after sowing.